Head over to Amazon and get the VTech Go! Go! 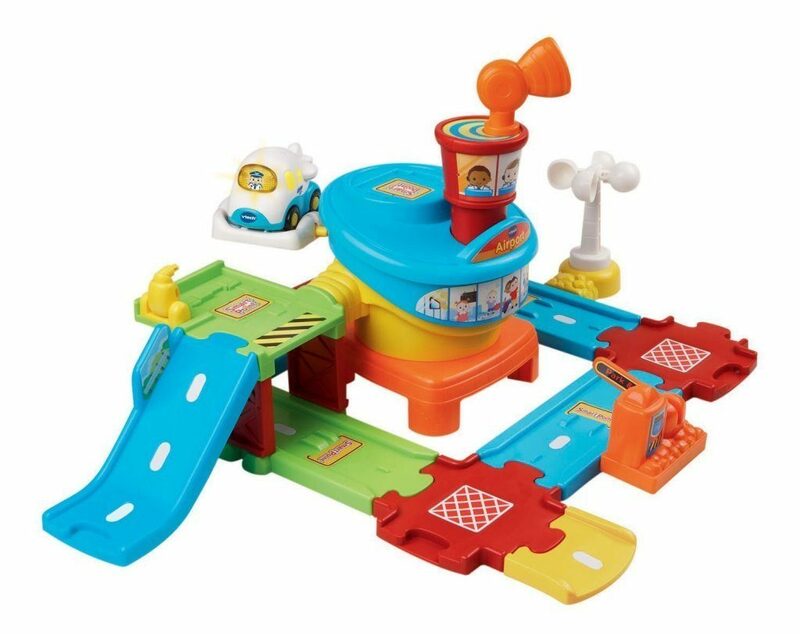 Smart Wheels- Airport Playset for just $18.04 – it’s lowest price. Shipping will be FREE with Amazon Prime or an order of $35 or more. Features control tower with antenna that turns to ?fly? plane on cloud platform. Features 6 SmartPoint locations that recognize and respond to Go! Go! Smart Wheels SmartPoint vehicles. Features role-play elements, including a fuel station, lift-up gate and spinning weather vane. Features tracks that can be reconfigured or detached to connect to other Go! Go! Smart Wheels playsets.